There was a period in the South where everyone knew how to jam, can, preserve and pickle. Southerners knew how to preserve just about everything using all natural household ingredients and every home would have pantries stocked with jars of canned vegetables, fruits and everything in-between. Learning how to pickle, or to brine, is very simple and doesn’t require any special tools. The best part about learning how to pickle is getting to experiment with creating your very own Southern brine recipes. The brine is nothing more than vinegar, salt and sugar and yet it is the key to preserving certain foods for extended periods. The key to pickling is to insure that your brine pH is relatively acidic (generally around 4.6 pH for most vegetables, but can swing higher or lower depending on the natural acidity of the item you’re pickling) using vinegar and enough salt to act as the anaerobic preservative. The sugar is used to help balance the flavor profile and shift it down from to0 acidic to sweet without greatly effecting the pH balance. To bring the brine together simply boil the vinegar, salt and sugar then either add your ingredients into a boiling brine or add boiling brine to your ingredients. The fun with pickling is working with the ingredients and spices that make up your recipe. Go crazy with the spices and herbs if you like, but remember that your flavors will change during the extraction process caused by pickling, some that can be unpleasant and drastically intense. The end the goal is to create recipes of herbs, spices and ingredients that enhance the pickled food, so one brine recipe won’t work for everything; test small batches first. 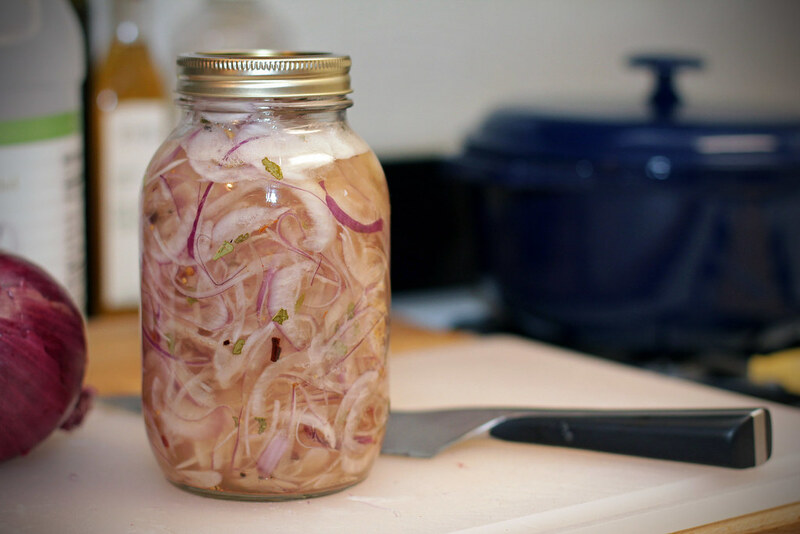 Master the brine process first, and learn to can later; you can store your pickled goods in the fridge until your ready to learn canning. Well worth the effort to get the classic Southern taste of the perfect pickled good. Stay Hungry Y’all! 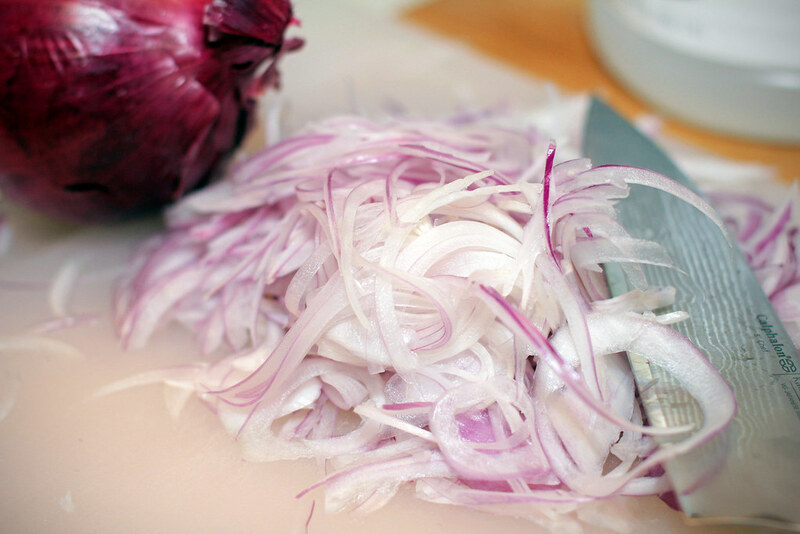 In a nonreactive pan bring all ingredients but the garlic and onion up to a boil. Once boiling add the onion and garlic and reduce to a simmer for 1 minute. 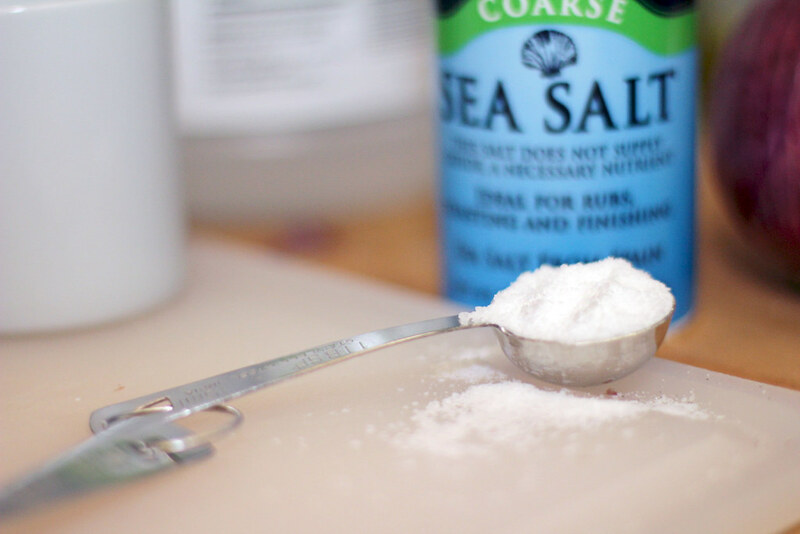 Move liquid and ingredients to seal-able container and allow to cool. Move to the refrigerator and allow to cool for 24 hours. Serve over poboys, salads, red beans & rice, pulled pork sandwiches, pizza, chicken, etc. Delicious on just about everything. Enjoy!